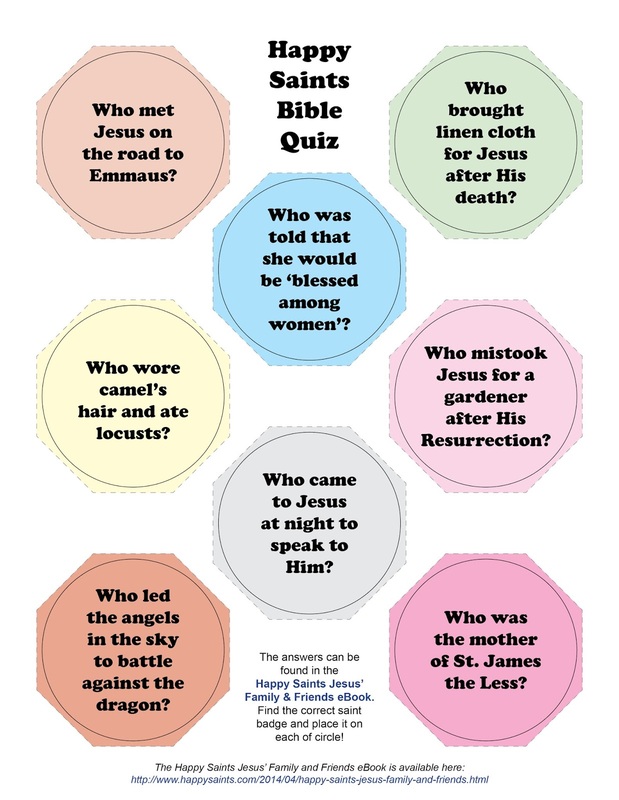 Here’s a supplementary bible quiz to be used with the Happy Saints Jesus Family and Friends eBook! The answers can be found in the eBook. Find the correct saint badge and place it on each of circle. Mix and match badges, and get the whole family to play it!